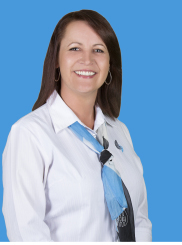 Natalie joined HFI in 2013 and bought 23 years of financial services experience with her. Natalie is our Office Manager, she oversees the day to day running of the office whilst also managing our finance clients with our finance broker, Roy Hall. Natalie will process your finance application and will work with Roy to ensure that you have the most appropriate finance strategy for your circumstances. With the experience and knowledge Natalie brings to the office you can rest assured you are in the best hands!